When the “assault weapons” ban portion of the ’94 crime bill sunset in 2004, pistol ARs and AKs started to gain popularity. The ban prohibited pistols with a weight of more than 50 ounces. 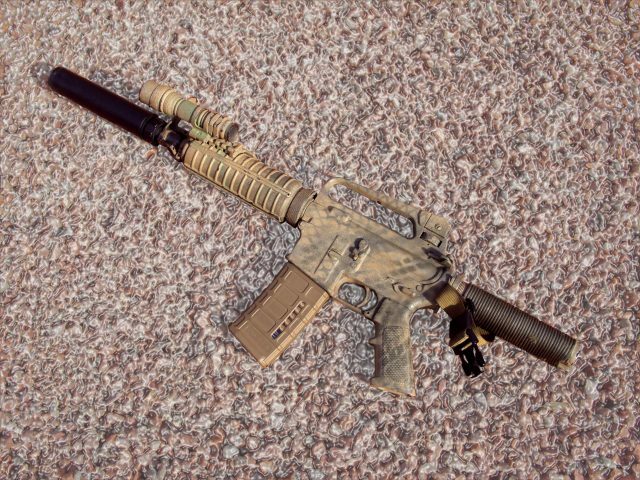 While there were a few AR pistols available during the ban, they were pretty goofy, with extremely short barrels and skeletonized lower receivers. When the ban sunset, a pistol could be nearly anything a person wanted it to be, so long as it did not have a stock and had never been a rifle. They could be configured exactly like the short barreled rifles that everyone saw wannabe ninja cops or high speed bearded operators carrying on television, except for the stock. Many people later filed an ATF Form 1 and registered their pistol as a short barreled rifle and installed a stock. Many more simply left them as pistols. At first glance, such devices might seem to be little more than range toys. How could a person hit a target with a large, ungainly contraption like that? It turns out that AR and AK pistols are really no less accurate than traditional pistols. Get both hands on them and a little range time and they can be more accurate than you need for defense. The problem isn’t really accuracy, it’s that it is difficult to hit quickly with them. At least, it is if you try to shoot them the way you would a traditional pistol. If you attach a single point sling to the rear of the receiver and push the pistol out against the sling in the European style, you can actually get good, quick hits. It is not as stable and accurate as a rifle but neither is a traditional pistol. Using that method can be every bit as quick as a more “normal” pistol at typical home defense distances, though, and the longer sight radius can help you make precise shots if necessary. ditional pistol, so why would you choose it for an AR or AK pistol? Choose quality, defense oriented ammunition like you would for any other defense gun and you can count on good terminal performance. The European sling technique on its own made AR and AK pistols a reasonable choice for home defense. The AR pistols had this nifty little tube sticking out the rear of the receiver, though. Normally, this buffer tube was inside the stock of the rifle, but on a pistol, it just protruded from the rear of the receiver. It wasn’t a stock and the anointed ones at the BATFE’s NFA branch had told us so. It was an integral and important part of the rifle’s pistol’s mechanism, necessary to its operation. It couldn’t be removed. There was some debate about whether it was legal to shoulder this buffer tube as you would a stock, but as it turned out later, the concerns were unfounded. Or at least, they seemed to be unfounded for a while. In any case, the presence of the buffer tube and the fact that you could shoulder it, combined with the superior ergonomics of the AR system led AR pistols to be far more popular than AK pistols. Then Sig changed everything with their introduction of the Sig brace. It seemed almost a middle finger to the gun bureaucrats. The thing was advertised as a way to stabilize a pistol against the user’s forearm but it looked like a stock. Everyone figured it was just a wink, wink, nudge “brace” with big, giant air quotes. But then someone actually sent a letter to the BATFE asking for clarification on whether it was legal to shoulder a Sig brace. Shockingly, they ruled that the device was not a stock and shouldering it did not make it a stock. Phrases like “game changer” and “paradigm shift” were used and a lot more ARs and AKs in pistol configuration were sold. 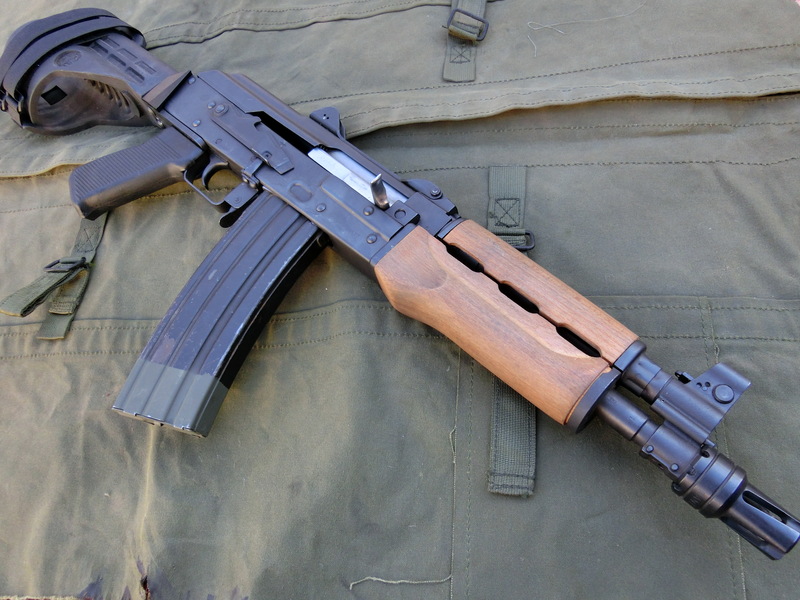 At around the same time, Yugoslavian PAP AK pistols hit the market at about $400. Now both AR and AK pistols could be truly practical home defense guns. It seemed too good to be true, and it was. Just as some folks had feared, the ATF reversed its original position and released another letter stating that, while the Sig brace was indeed still legal to attach to a pistol, placing the brace against one’s shoulder magically transforms the gun into an unregistered short barreled rifle. Suddenly, this stock that wasn’t a stock evaporated. The loophole was gone. Of course the concept that it is possible to shoot a pistol the wrong way and thus violate a law is ridiculous. It is equally preposterous that such a ruling could have any hope of being enforced. It is not likely that F-troop was remotely concerned about those factors when it made its ruling. Of course the ruling was ridiculous but these are the same people who decided a shoe lace was a machine gun. It was hardly shocking, but it was very disappointing for many of us. With this new ruling, can an AR or AK pistol still make a useful home defense gun? It is likely not a good idea to use an AR or AK pistol that is equipped with a Sig brace for home defense. If a shooting ever went to trial, it would not help your case for there to be any suggestion that you used the pistol in an illegal manner, even if the shooting itself was justified. Still, the European sling technique is just as useful as it was before Sig introduced its brace and the accuracy and power of a pistol that is chambered in an intermediate rifle cartridge are seriously useful. They were practical, useful home defense guns before the recent letter, and they continue to be so. The ruling is disheartening but AR and AK pistols are still good choices for home defense.